Check out this incredible top-down of Anagonbe’s tank. This angle give you perspective as to how nice and big these acropora colonies are. 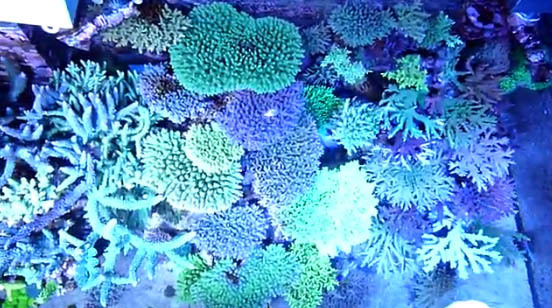 This is just another stunning video of this amazing reef tank. With the flow turned off, the visuals are just about as nice as they get. A variety of reef fish are swimming happily in this magnificent recreation of a natural reef. Thanks for the friend. God Speed.